Jazz fusion (also known as “jazz-rock”) is a musical genre that developed in the late 1960s, combined aspects of jazz and rock, funk and RnB. 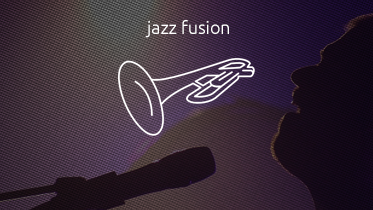 Jazz Fusion combines styles of jazz harmony and improvisation with styles such as funk, rock, rhythm and blues, and Latin jazz. During this time many jazz musicians began experimenting with electric instruments and amplified sound for the first time, as well as electronic effects and synthesizers.